Today we had an amazing discussion with our dentist Dr. Stuart Nunnally. If you haven’t had a chance to visit him in Marble Falls Texas you can read about my experience being at his office in 2010 and visit his website to learn more. I tell people all the time about his office and what he’s doing. I recently told one of our amazing guests Ty Bollinger about Dr. Nunnally because they’re in the same general area of Texas. I cannot recommend him enough. You might be thinking it’s strange to get on a plane and fly to see your dentist, but it’s worth it. In my opinion your oral health takes precedence over your physical health. It’s somewhat counter productive to take green powders, and do cleanses of all kinds if you have a rotting tooth in your mouth. There’s a reason why people will look at the teeth to find out how healthy a person is. There’s a reason why traditional Chinese Medicine links each tooth to specific organs of the body through the energetics of the meridian systems of the body. In fact Dr. Bob Dowling has gone on record saying that all cancer is caused by oral pathology. “All” is a pretty strong word there but at the very least you can see just how important it is to take care of your teeth. If you have issues in your mouth as many of us do (me included!) than whatever you do you don’t want to go to a regular dentist who doesn’t understand the finer esoteric concepts of just how important it is to have things done correctly. For example you don’t want to have your mercury fillings removed without taking the proper procedures that are needed to be done to ensure you don’t get infected with mercury during the process. I cannot recommend Dr. Stuart Nunnaly and his staff more highly. I’ve listened to countless interviews with him and had the wonderful opportunity to visit them a few years ago and you can trust me when I tell you, you won’t find a more kind and helpful man than him. What a joy it was to visit them and get my mercury fillings removed safely and correctly. If you are looking for a biological dentist in your area, I would get a Care Credit card, save some money for a flight and get your mouth worked on properly. This is serious business and unfortunately I don’t think people understand just how serious proper dental care really is. Your health is your wealth and if you go to a regular conventional dentist I encourage you to do your research first and listen to this interview with Dr. Stuart Nunnally and see if what he’s saying resonates with you and your ideas about health. Dr. Nunnally is on the cutting edge of the science of dentistry and how it affects our health, our energy, our vitality, our longevity and our susceptibility to disease. During this show we talked about all kinds of interesting subjects like, root canals, receding gums, curing tooth decay naturally what the right diet is that promotes healthy oral health, implants, bridges, crowns, mercury fillings, root canals and so much more. If you enjoy this episode will you do us a favor? Would you be so kind as to share it with your friends using the social links above? We really are relying on all of you amazing listeners to help spread the word so more people can know about this life changing information. Are root canals as dangerous as people claim? Dr. Stuart Nunnally explains. – Click to tweet this! He holds fellowships in the Academy of General Dentistry and in the International Academy of Oral Medicine and Toxicology. He is currently completing a stem cell fellowship in the American Academy of Anti-Aging Medicine. Nunnally is board certified in naturopathic medicine and is board certified in integrative biologic dental medicine. He serves on the teaching faculty of the Academy of Comprehensive Integrative Medicine and The American College of Integrative Medicine and Dentistry, and he frequently teaches on all aspects of biological dentistry. Justin: That just brings the dancing girl out of you, didn’t it? Kate: I don’t know why that music just makes me want to groove. Justin: You’re doing the drums and got the smirk on your face. Kate: So silly. I know. Kate: Thank you very much. Justin: …was my wife, Kate. Kate: Hi, every body. Thanks for joining us. Justin: A dental week here. Kate: It’s been amazing. The more we can learn about dental stuff, the better. Justin: Yeah, it’s going to be a great show. So if you have tooth problems or any kind of oral pathology issues with your mouth, you’re going to want to listen to this show because we have one of the best biological dentists, in my opinion, on the planet. Man, we love Dr. Nunnally. We have been to his beautiful offices there in Marble Falls, back in 2010, and we plan to go again. So stay tuned. We’ll introduce Dr. Stuart Nunnally in just a moment. This is Episode 180, so you can go to ExtremeHealthRadio.com/180 if you want to make a comment about the show or anything that Dr. Stuart Nunnally says, or check out the show notes, websites and all that good stuff. Kate: I will be taking notes for you all. Justin: …will be taking notes. Kate: Many shoes to fill. Justin: Big shoes to fill. And for reference, this is Thursday, November 18, 2013 and if you’d like to follow us on Facebook, we’d love to have you join us. You can click the “like” button on our Facebook page and keep up to date with our shows and all that kind of good stuff. So if you’d like to join the show, there are lots of different ways to do that. You can email me at justin@ExtremeHealthRadio.com. Justin: And you can also send a voicemail in to our guests that we can play on the air. You can pre-record that straight from your computer or you can join our live chat room that’s happening. Now we are broadcasting live, so if you go to ExtremeHealthRadio.com/Live, you can go onto that page and listen and type your question into the chat room and get your questions answered. So there are lots of different ways to join the show. 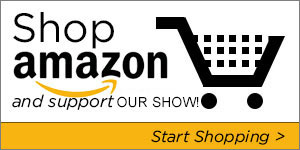 And if you guys are interested in helping to keep this show free, during the holiday season and during any time really, you can actually make your purchases on Amazon through our link, and that would be a really great way to help support our show at ExtremeHealthRadio.com/Amazon. That would be a super way to keep the show free for everybody. Let’s see… We’ve got some great guests coming up here, Kate. Kate: I know. I was just looking at the calendar. Justin: Dr. Morton Walker, and he’s going to be talking about cancer, so that’ll be a great show. And then I’m not sure how you say his name—Paul Huljich—stress management. That’s going to be a good one. His website is StressPandemic.com and that’s going to be a great show, talking about how we can mitigate the effects of stress on our lives in a practical way. Kate: Because I know everyone needs that. Justin: And then we have Vani Hari from FoodBabe.com and she’s going to be talking about her work. And if you haven’t been onto FoodBabe.com, I’d highly recommend that. So it’s going to be a great show, talking with her. But today we have Dr. Stuart Nunnally and he has been practicing dentistry for over 33 years, I believe, and he is a holistic dentist, practicing out of Marble Falls, Texas—beautiful place. We went there, like I said, in 2010. And just an amazing person doing tons of research. He’s also a nutritionist as well, so not too many dentists understand the nutrition and how that plays into everything. So thank you so much, Dr. Nunnally, for joining us today. Stuart: Oh, it’s a privilege. I’m just tickled to be with you. Justin: Oh, excellent. And life is good in Marble Falls, isn’t it? Stuart: You know, Marble Falls is just one of those little hidden gems that unfortunately has been discovered now, but it’s still beautiful and the air is fresh here and the water is clean and we think it’s a great place for people to come and visit and get a little bit out of the city. We’re about 45 miles west of Austin and 75 north of San Antonio, so we’re kind of in that little niche of the Texas hill country that gives people a good chance to escape and heal and relax. Justin: “That’s crazy!” But I’m sure you have a lot of people that do that, don’t you? Stuart: Well, we do. We do. You know, there are physicians around the world who want to send their patients to a biological dentist and so we are in that humbling position of seeing people from all over the world. We never dreamed it would be that way. You know, we’re sort of a—at least I’ve always personally been—sort of an “all or nothing” kind of guy, and when we decided really to make this a biological practice, I wanted to make sure that we tried to incorporate every protocol that would give a patient the optimum opportunity to heal. And so fortunately, there are great folks—practitioners—around the world who want that also for their patients and they refer to us and so it’s a great spot for us to be in because typically we see folks like you, Kate and Justin, who have sort of taken their health into their own hands and are really, really interested in trying to make sure that their dentistry, if it’s maybe a revision where all their dentistry is being redone, that it’s done with proper materials and done with protocols that protect the patient. Justin: And you had a bit of an experience getting into biological dentistry. Tell people about how and why you got involved with doing biological dentistry to begin with. Stuart: Well, you know, I had considered myself a holistic dentist because I hadn’t put a mercury filling in in many, many years, but for over 13 years ago now, I began to have neurological issues and to the point of at some point in my treatment, I was finally referred to the Lou Gehrig Center in Houston, thinking that I had ALS. And it just turned out that I had a toxicity issue, mostly from mercury, and even though I hadn’t put a mercury filling in in 20 years at that time, I had been removing them, not taking the proper precautions myself and finally was overwhelmed by the mercury exposure and began to have those neurological issues. So I actually went to see Hal Huggins, who at that time was seeing patients in Montreal and things looked so bleak for me at that time, I would’ve gone anywhere. But at any rate, Hal was kind enough to see me and was my first time to meet him, although I was familiar with the books he had written. You know, I came away from Montreal, after my treatment there—spent about eight days with him—and I came away with hope and with actually, even after that short time, beginning to feel better. As it turned out, I did not have an ALS diagnosis, but I had a mercury toxicity diagnosis. And so at any rate, it took a long time to recover. I went from being a fairly competitive triathlete to not being able to jog for a little over three years. Stuart: But I’m back, you know? And it’s fabulous. So after that whole experience, as so often happens, sometimes we have to get sick ourselves to really make a paradigm shift. And I did. Justin: Is there any difference between the symptoms of something like ALS and mercury poisoning? Wouldn’t they be pretty similar? Stuart: Yeah, they are. You know, the differences sometimes are very, very subtle and in my own case, I had many of the symptoms and I also would have had many of the symptoms of an MS patient. You can throw many of these autoimmune issues or disorders into one big basket. Some of them have very, very small, distinguishing characteristics. But at any rate, I’m so grateful that I did have a toxicity issue and the beautiful thing about that is over time, if you avoid re-exposure, you can get well. Justin: Yeah. Yeah, so what were some of the things that you used to overcome and get those toxins out of your body? Stuart: Well, you know, for me the biggest thing was I avoided re-exposure, so I did everything possible to protect myself and my staff when I went back to work. Of course we wear respirators, we have special air filtration systems in the office—anything I can do to avoid exposure to mercury. And then I’ve also, of course, been very, very careful. I was a big fish eater. And unfortunately, you know our seas have become so toxic that many of the fish are way too high in mercury levels for me, and so I have been without a bite of fish for the last 13 years and I just avoid those foods that might have a mercury contamination issue. Justin: Wow. Did you use any fancy supplements or…? Stuart: Well, I did. And not fancy. You know what I chose to do? I chose to go very, very slow as I detoxed. So one of the things that I did is I invested in an infrared sauna, which was huge. That was a big, big part of my healing because interestingly enough, many times patients who have heavy metal toxicities lose the ability to sweat. And I was one of those. I could not break a sweat. And the infrared sauna helped me to retrain my body to be able to sweat. It was a huge part of my overall detox. And then I chose to go slowly, by doing a bag of vitamin C IV once a month—a big, healthy dose of 50 grams at a time—and that is also a wonderful, slow way to detoxify. Vitamin C itself is a poor chelator, but it elevates that wonderful little substance in our bodies called glutathione, which is a great chelator. Justin: And doesn’t Dr. Huggins say as long as there is more going out than what’s coming in, you’re okay? Stuart: Absolutely. And I think he’s right. I think he’s absolutely right on that. Of course he’s been seeing this for 40+ years and I think he is absolutely right about that. Justin: So I saw something on your website just the other day called—this is a term I had never heard before and I’ve been doing this for quite some time—but it was called trigeminal neuralgia. What is that? Stuart: And so if a cavitation is truly causing trigeminal neuralgia, most times by cleaning that out, at least the literature says 75% of the time those patients will be asymptomatic after the treatment. In other words, the pain will go away. So we see many, many patients with trigeminal neuralgia and I think it’s absolutely a blessing to be able to see them because most often, we can have a real impact on their pain. Justin: Wow. Is it pretty safe to say that people that have had their teeth or a tooth removed have a cavitation? Is it pretty much a guarantee? Stuart: You know, I think it is—not so much in real young children, for example. Even when a permanent tooth has been removed in a young child, oftentimes those seem to heal in well, but as we get older—even into their late teens and early twenties—when a tooth is removed, that socket can fill up with bacteria before it heals and then a little cap of bone grows over that and the gum tissue and you’re left with a little cesspool of bacteria there, and that is called a cavitation. It goes by many other names, but I think most people know it by that. And so I think the answer to your question is many, many times, especially in the wisdom tooth sites, we end up with cavitations after the extraction. And it’s interesting, Justin, how some people seem to handle the toxicities from those well and maybe live with them for a lifetime and others don’t. And we have now sampled hundreds and hundreds of these via DNA studies and we know now that the bacteria within a cavitation are some of the most potent literally known to man and the toxins that they produce. So they can be a great challenge to the immune system and that’s what we do is we clean those out. Justin: So if someone gets a wisdom tooth removed, which a lot of people have had—and I have had—and haven’t had those taken care of yet, if they have their wisdom teeth removed, what’s going on in terms of how the doctor is removing or the surgeon is removing those teeth that causes there to be such a thing as a cavitation? Are they doing it wrong? Stuart: Well, most folks—and probably the most outspoken person on this issue over the years has been Hal Huggins—he over the years has said that dentists need to be removing the ligament that attaches the tooth to the jawbone in order for these to heal properly. And we typically in dentistry don’t do that. We simply remove the tooth. The ligament stays in place. And Hal has felt over the years that that ligament precludes the bone from completely filling in that area. Stuart: So I think it’s important to remove the ligament. I think there are a number of other things, most of which he has proposed over the years, that we do so that they heal properly. One is that we don’t have a patient driving long distances afterwards, where they are jiggling down the road. Not them driving—just someone even driving them—but where they’re possibly disrupting that clot. Justin: That’s a big deal, isn’t it? Stuart: I think it is. I think it is. And of course he, over the years, has always recommended that high doses of vitamin C be given and preferably intravenously because of the toxicities associated with those. And then of course he has always recommended acupressure or acupuncture immediately afterward to restore the electrical network that goes through these. And a cavitation is a known block to the meridians where we have natural electrical impulses going. So all of that is part of the protocol that Hal developed over the years and I think it’s a very important protocol to follow to get these to heal properly. Kate: You came out looking like you were dead, in a good way. I’ve never seen him more mellow. Justin: It was such a pleasurable experience to have that right after a procedure like that. Stuart: Well, it is. It’s overlatching and that’s all part of the healing process is to really be still afterwards and let that clot have time to gel so that those wonderful little cells in there will mature into bone cells. But one of the most exciting things that we have instituted, oh, just within the last six months is now, in addition to doing all those other things I mentioned, we—while the patient is sedated, of course; we do this with the patient sedated via IV—we’ll draw several more tubes of blood and we spin that down and collect the platelets out of that—out of the patient’s own blood—and then we pack that concentrated group of platelets into the extraction site. And that is just like a dose of mega-healing all at one time, because platelets have such a marvelous impact on a healing response. So we are so excited about that. That’s called a platelet-rich fibrin technique. It was introduced in France a few years ago and anyway, we feel like it’s really a game-changer for us. Justin: Yeah, that’s a brand new procedure that you guys have been implementing. Kate: Yeah, since we’ve been there. Justin: Yeah, since we’ve been there, huh? Just recently. Stuart: It is. It is. You know, we’re always looking for something better and newer and based on the research and we think this is a fabulous new technique. Justin: Well, this is good. We’ve got to take a little break here—perfect time for a break. If you guys are interested in visiting our dentist, his website is HealthySmilesForLife.com, Dr. Stuart Nunnally. And if you go to Healthy Smiles For Life, you can check out their website and set up a consultation and go in there and talk to all of them. Just a wonderful, wonderful place to go. And if you are living anywhere in the country—I mean we’re in California and we flew to go see Dr. Nunnally—he’s just an amazing guy. So we’ll be right back with Dr. Nunnally right after this break. Justin: Well, we’re having a great time with our dentist, Dr. Stuart Nunnally, from Marble Falls, Texas. Justin: Gotta love Marble Falls, Texas. Kate: I do love Marble Falls, Texas. Justin: Beautiful place, isn’t it? Kate: Gorgeous, and I have to say, I mean the office is just… The place is gorgeous—the surroundings—but when you get inside that office, you feel like just a big, warm hug when you walk through that door. So soothing you don’t feel like you’re at the dentist. Justin: I know, right? It’s unlike any other dentist place I’ve been to. Kate: Oh yeah, absolutely. Felt more like a bed and breakfast. Justin: Yeah, it’s a big facility and lots of different rooms and different people doing pre-op stuff and taking your blood work and all this crazy stuff—great, great facility. So Dr. Nunnally, before the break we were kind of discussing a little bit about cavitations and I was asking before about how doctors and dentists… When they remove the teeth, typically they don’t remove the ligaments that connect in the jawbone and I was just curious what happens—if you could explain a little bit more—about what’s really going on when the dentist will do that or a surgeon will remove a tooth… What happens inside? Lots of bacteria start to develop and then…? Perhaps you can shed some light on how that transpires and how that works? Stuart: Sure. Well, the tooth is connected to the jawbone via a ligament that’s known as the periodontal ligament, and it really acts as a shock absorber for the tooth. If you take any healthy tooth and you latch onto it with your fingers, you can feel just a little bit of movement if you try to push it one way or the other. And that’s because the tooth is connected to the bone with this ligament. Well, the ligament obviously has a wonderful reason for being there and that is when we bite down, there is a little tiny bit of squishiness to our teeth that we’re not aware of, but it helps us to when we bite down not to feel like we’re literally banging our teeth against one another. There is a little bit of a cushion or a little bit of a shock absorber effect there. Stuart: So the theory is that when that ligament is left in place. In other words, the tooth is removed, the ligament stays, surrounding where the tooth used to be and attached to the bone, but you don’t get a good infiltration of blood cells and all of those other wonderful factors that are needed in order to get bone to heal. And so then you’re more likely for the bacteria that are naturally present in the mouth to slip into that extraction site and to take up housekeeping and once they’re there… Actually, bacteria that are not necessarily the worst in the world can player morph or change into a very harmful bacteria. So aerobic bacteria, which we typically think of as not being among the worst, can literally change into an anaerobic bacteria, and that’s what we find when we culture these or when we remove the contents from one of these. We’ll find that in our DNA samples. Justin: And what kinds of bacteria are you finding that are some of the dangerous—most dangerous? Stuart: Well, to tell you the truth, when we first started submitting these, probably five years ago, half the bacteria I had never even seen before. Stuart: Yeah. No, it just blew me away. I showed some to several different infectious disease doctors and they were just blown away by the array and the potency of those bacteria. Now the thing about it is the body is very adept at encapsulating diseased areas. In other words, the body will lay down a dense layer of bone around these in an effort to protect you. That’s called condensing osteitis. But still, those toxicities in the bacteria don’t just stay there. They can leach out and get into our bloodstream and they can impact other areas in our body, and we know that very, very well. There are great studies to demonstrate that what goes on in the jawbone doesn’t just stay there. It can go anywhere it wishes. Kate: That they wouldn’t necessarily make that connection, I’m sure. Stuart: Yeah, absolutely. And that’s all very well documented in the literature. And so there are certain bacteria within these cavitations. I mean their primary place to infect, if they’re not in the jawbone, is the heart. There are others that go to other organs. And so we see folks, many times they have been seen by numerous physicians and other caregivers and they’ve had no relief from whatever their symptoms or their disease is and many times when the patients have these cavitated areas cleaned out, they begin to feel better. It’s very interesting. My first time… See, we’re not taught in dentistry about cavitations. If you were going to be taught about it, it would be called osteonecrosis—osteo meaning bone, necrosis being dead, and it’s basically a dead area within the marrow of our bone. Stuart: And they’re very, very common. We know that these occur in other bones of the body—all bones of the body—most commonly, the next most common bone outside of the jawbone is the hip. And so, for example, sometimes an athlete will take a blow with maybe a football helmet to the hip and all of a sudden, their hipbone becomes necrotic. They have osteonecrosis of the hip and it will cause them to either have to have that hip cleaned out—the way we do in the jawbone—or they may even lose the hip and have to have an artificial hip. So we’re just not taught about these and the very first time I heard this, I was sitting next to a brilliant lady physician who has an integrative medical clinic in one of the Carolinas and she said to me “You know patients come to us from all over the world” and she said, “I can’t tell you how often we do these elaborate studies on them, can’t figure out what has caused their disease, but when we send them to have their cavitations cleaned out, they get well.” Literally, that was 15 years ago. I had no idea what she was talking about. And so that’s when I began to do my research and then when I went to see Hal Huggins in Montreal 13 years ago, he said to me “Well, if you don’t get your cavitations cleaned out, you’re not going to get well” and I said, “Well, I honestly don’t even have a clue as to whether I have them but I am perfectly willing.” And I’ll have to say that I think that was a very significant part of my healing process was getting those cleaned out. Justin: Wow. That’s amazing. And so when you’re cleaning out the cavitations for people, do you typically need to do it more than once or is it a one time deal or how does that work? Stuart: Well, there have been 12 studies to determine how often they reoccur when they’ve been treated and unfortunately, in those 12 studies—there were 2,000 patients in those 12 studies—in those studies, 40% of the cavitated areas reoccurred and had to be re-cleaned out. Justin: Interesting. And during those studies, were they being done by biological dentists who really knew what they were doing or…? Stuart: I think they were being done by very well meaning and talented surgeons, but none of the protocol that we follow or that, for example, that Hal Huggins recommended for so long was being followed. Many of them drove long distances home. Certainly there was no acupressure or vitamin C. All those other things to support and most importantly, I think, of course there was no platelet-rich fibrin being introduced into those sites afterwards. So I can’t imagine that that failure rate would even come close to 40%. I think today I would be very disappointed if more than 5% or 10% of those reoccurred. Justin: Interesting. And so what are you cleaning the cavitations out with? Stuart: Well, we have a number of instruments—instruments that are made specifically for that, to clean those out. We also use some rotary instruments to help really clean that out. And then we irrigate that. We love the effects of ozone. We are big proponents of ozone and its antibacterial abilities, so we use ozone in the sites. And then, of course, then we follow up with this protocol that I’ve been talking about. Justin: Where you’re using the patient’s own blood as well, right? Justin: Wow. And that really speeds up the healing process, doesn’t it? Stuart: Oh, it’s just unbelievable. I mean we always see our patients the next day and many times, unless they’re from long distances, we’ll see them again the next week and the healing is… Well, we just honestly can’t believe it. Many times, even on the next day, you can hardly tell that we were in the site. Justin: Wow. So you, when people come in and get a cavitation worked on and removed and healed up like that, you recommend people stay a night or two rather than flying in a plane or driving in a car the next day. You recommend people kind of spend a day or two just to let that clot heal, don’t you? Stuart: We do. We insist that folks who have that surgery spend the night in Marble Falls and of course we see them the following day for follow-up vitamin C and acupressure. Then at the end of that second day, patients are able to drive. We ask them not to fly for 48 hours after we do their treatment. Justin: Yeah, that’s good. Is there a difference between—in terms of danger to people—between root canals and cavitations? Are they similar in terms of how they affect the body or are they completely different? Stuart: Well, the bacteria that we find from DNA analysis of root canal teeth and cavitations are almost identical. And that’s very disheartening, because there was a point in my career when I did about 150 root canals a year and I haven’t done one now in many years because I’m convinced that the toxicities associated with root canals can be a true challenge to our immune system. The unfortunate thing about that is people end up losing the tooth rather than being able to keep it, which a root canal oftentimes allows them to keep the tooth. Justin: With the root canal and a cavitation—just kind of putting those two side by side—are there issues with the body not being able to send white blood cells and give good circulation to those areas? Because with the root canal, essentially it’s a dead tooth, and then with a tooth removal, like a wisdom tooth or something else, you’re essentially removing the tooth, so do you prevent the body from sending white blood cells to that area too? Stuart: You do, in both instances. Stuart: Yeah, and a root canal, of course you’re right—the process of doing a root canal severs the blood supply to the tooth. Stuart: So it’s a dead tooth and it’s filled with a material that fills in the major portion of where the nerve was within the tooth. But there is no blood supply to the tooth, so it’s impossible to deliver the body’s own immune defenses to it. And in the case of a cavitation, it’s a very stagnant blood flow, so it’s difficult to deliver antibiotics to that area. And it’s also, of course, very difficult for the body to deliver its own white cells because the blood flow is so sluggish. Justin: If someone has had a root canal, like me—and I’m sure a lot of people do have them… For us, what we wanted to do is come and see you guys and have… Kate had her amalgam fillings removed; I had mine removed. We didn’t want to do it all in one shot. And I know that’s something that you talk about, but if someone has a root canal, what are some of the protocols that you…? What do you do if someone does have a root canal? Do they only have one option or are there multiple options for them? 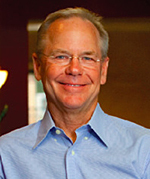 Stuart: Well, typically when a patient has been referred here by their physician, the physician usually—or healthcare provider—is aware of the fact that root canal teeth are not sterile, that they can pose a real challenge to the immune system and the patient usually is already prepared for the fact that they are going to have the tooth removed. And so what we do is we certainly don’t want the patient to run around without a tooth, especially if it’s in an aesthetic area. We would never let that happen. So fortunately, we have all kinds of wonderful ways to replace a tooth literally within minutes so that no one has to leave here with a missing front tooth. Now if it happened to be the very, very back tooth that’s not visible, we might choose to leave that area left to heal on its own with no sort of temporary tooth there and that’s typically not really a challenge for the patient. Before we will put a permanent tooth anywhere—like a permanent type of bridge—we will always use a temporary first that’s very nice looking, but we want the tissues to heal for several months before we restore that area permanently. Stuart: And for the most part, we see, interestingly enough Justin, we see many, many patients who have a broad range of autoimmune diseases, so most times we are not recommending implants for these patients because of the immune challenges that they are already facing. Stuart: There will come a time, I think within the next few years, when literally via their own stem cells, they’ll be growing the teeth back. Justin: They’re already growing the pulp, aren’t they, with stem cells? Stuart: Yes. Yes, this technology is just advancing daily. And so I am very, very hopeful that it won’t be long and anyone who has lost a tooth will literally be able to grow it back. Justin: You can’t get any more biologically compatible than your own stem cells, can you? Stuart: Yeah, that’s the way we want it. Justin: Well, we’re going to take a short break and I want to get into—in the next segment—maybe some dietary principles people can start implementing to prevent tooth decay and some things they can do to take care of their own teeth. This is just a wonderful interview with a wonderful man, Dr. Stuart Nunnally. His website is HealthySmilesForLife.com, so make sure to check them out if you’re interested in getting to the root cause of your health issues. In my opinion, I think it’s a huge, huge thing. We’ll be right back with Dr. Stuart Nunnally right after this break. Justin: So during the first break, I had a slice of pear and then I typically don’t like to let the acid of the fruit sit on my teeth, so during the second break, I washed my mouth out with baking soda. Kate: You are better than I.
Justin: I have to do that. I can’t let that fruit sugar sit on my teeth. Kate: That’s a good practice. We should speak about that to Dr. Nunnally, ask him some practical ones. Justin: So we’re with Dr. Stuart Nunnally, our dentist from Healthy Smiles For Life in Marble Falls, Texas—wonderful man and just doing great work out there in Texas. 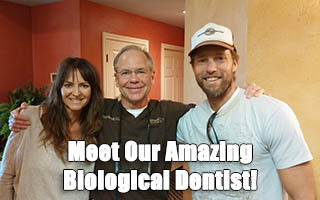 So if you’re interested in a biological dentist of the highest order, I would recommend, from experience, Dr. Nunnally. So Dr. Nunnally, I wanted to talk a little bit about, perhaps in this segment, about some things people can do to take care of their teeth, maybe some practices they should avoid, and maybe just some issues like that, just on a general upkeep basis for what they can do for their teeth. What do you do to take care of your teeth? Let’s start there. Stuart: Well, you know, the diet that we would all associate with a good, heart-healthy, brain-healthy healthy lifestyle type of diet works well for the mouth. And typically a diet that doesn’t work well for the mouth is a refined carbohydrate diet. So anything that introduces a lot of sugar to the mouth is just a huge insult to our immune system and a challenge. You are exactly right. Now there is help for people like you, Justin. Justin: I know there’s help. Stuart: Who will go and rinse with a little baking soda to neutralize the acid, but you know, that actually is a fabulous thing to do because the fruit—the fructose from your pear—did set up a reaction, which made your mouth more acidic and to neutralize it with baking soda is the perfect way to do it. So there are many, many things that we should be doing that we don’t do in this country because we are a carb-happy diet. We’re in the middle of this huge carbohydrate experiment in this country and we’re beginning to see what we’re reaping as a result of what we’re doing here. And of course, we are becoming the most obese nation in the world. We are becoming the most highly type two diabetic nation in the world. We are just simply over-carbing. And interestingly enough, I look personally at many, many blood chemistries and those folks who eat lots and lots of carbohydrates—and I’m talking about refined carbohydrates now but we can also lump many fruits into that. By the way, the pear is one of the better ones. Stuart: But many of the fruits have so much sugar in them that we are just becoming an obese, unhealthy nation. And of course you would expect in this country—with all the opportunities that we have to decrease tooth decay—we would expect there just to be virtually no tooth decay. But because of what we put on our forks and ingest, we still have tooth decay when we really shouldn’t. Justin: Dr. Nunnally, I’m curious if you have seen this video that’s been going around the internet. It was put out by Mike Adams over at Natural News and I think he’s in Texas too. And it was a microscopic video that was done under the microscope of what happens to teeth when they are exposed to the phosphoric acid that’s in Coca-Cola and these types of soft drinks, and it was just so fascinating to watch. As you’re watching it, you’re looking at pieces of the tooth that are literally being broken off and particles of the tooth actually dislodging from the tooth itself. You’re watching this live, as it’s happening, when the tooth is exposed to the phosphoric acid. Have you seen that video by chance? Stuart: Justin, and I can’t believe I have not seen it, but I would love to see it. Justin: It is fascinating. Yeah. And I think he mentioned something about kombucha too, because there’s the same sort of phosphoric acid in that. But I’m sure that you just cringe when you see people drinking these soft drinks, don’t you? Stuart: Oh, I do. I do. Of all the things that have the greatest impact on the enamel of teeth, it’s good old carbonated, high fructose or high sucrose drink. When we look at most drinks, whether it’s Coca-Cola, Dr. Pepper—any of them—when we look at them and there’s 28 grams of sugar, typically, in eight ounces of that, and it’s hard to hold 28 grams of sugar in the palm of your hand. You wouldn’t think you could even get that much sugar in the drink without it all precipitating out. And whoever drinks eight ounces of Coke, you know? Any soft drink is typically 64 ounces or some bizarre number. And so it’s terrible on our teeth. It’s even worse on our pancreas with the insulin that it has to try to secrete to keep up with that. So there’s just not a system in our body that responds well to that much sugar. Justin: Wow. Yeah, it’s fascinating when I watched that video. I’ll send that over to you and we can take a look at that. Justin: Yeah, it’s all done under the microscope and just fascinating. I cringe too when I see people drinking these Cokes. I’ll see people doing the Coke thing and then they’ll have like a donut or a pastry and these are just carbs on top of carbs, isn’t it? Stuart: Well, it is, and the problem is that’s addicting because as soon as you… You know, the body does everything it can to protect us and so we get this big squirt of insulin to try to handle that and it’ll convert all of that sugar into triglycerides, which is just another good name for blood fat. That gets stored, of course, as fat, but as soon as that drops off, which it does very quickly when we do a high dose of carbs, then our blood sugar plummets and we are ready for some more carbs because our body is always trying to maintain a nice homeostasis there, where our blood sugar stays even. And it will drop off when we squirt that much insulin into the system and then all of a sudden, we’re ready for the carbs again. And that’s why you see today… Today you’ll see especially school kids who get a big dose, for example, of orange juice first thing in the morning on a totally empty stomach, orange juice having just as much sugar in it as a soft drink, and then by the time they get to school or within an hour or two of school, they are ravenous because they’ve had such a big fall off in their blood sugar. Now they’re hungry again and typically the first thing they’ll do is reach for something that again has high carbs in it. And when you do that often enough, you become diabetic. Kate: I was going to say you’re starting out young, which is a sad state of affairs. Justin: Well, talk a little bit about tooth decay and this whole phosphorous level that if it’s above 3.5 you get less tooth decay and then the direction of the nutrients that go to the tooth and from the tooth, because that’s something that can be somewhat controlled by diet, couldn’t it? Stuart: Oh, absolutely. Well, believe it or not, this research was done many, many years ago by a fabulous researcher at Loma Linda. His name was Ralph Steinman and the research showed this. When our phosphorous levels are at 3.5 and above, the tooth is self-cleansing in that the fluid flow from the pulp of the tooth, into the dentin and through the enamel is in a way that it flows outside of the tooth. In other words, all of those little channels are open such that the fluid flows from inside the tooth out. But when we drop our phosphorous levels below 3.5, the fluid flow goes the other way so that all of those sugars and other things within our saliva tend to migrate into the tooth and we’re much more prone to decay. And so the things that tend to drop our phosphorous levels are these: Alcohol does, of course sugar does, stress does, caffeine does. All of those things that we associate basically with an unhealthy lifestyle tend to push our phosphorous—serum phosphorous—levels down. But a healthy lifestyle promotes a phosphorous level above 3.5 and we really feel like it’s more of a regenerative. You’re more in a regenerative state rather than a degenerative state when you get your serum phosphorous above 3.5. Justin: Do you know if fruit sugar or fruits themselves lower the phosphorous level? Stuart: Well, too much… Well, let me back up. Some people handle fruits much better than others. For example, if we take someone from European descent, those folks with their ancestry typically do not handle lots of fruit very well. If we take someone from the Fiji Islands and put them on a real high protein diet, they may not do so well. They may ancestrally be much more adapted to a diet that has many more fruits in it. So to answer your question, I’d say across the board, too many fruits typically upset the chemistry, as I see it. But there are populations that do well, quite frankly, with quite a bit of fruit. Justin: Interesting. And we had a guest on a while back—I’m sure you’re familiar with his work—Ramiel Nagel, and he has written some books on tooth decay and things, and he recommended this high vitamin butter oil and cod liver oil. Are those good things to help regenerate the teeth? Stuart: I think so. It’s rare that I see a patient who has decay that’s advanced through the enamel, into the dentin of the tooth. It’s rare that I see that decay become arrested or reversed. Stuart: So if the decay is in the enamel, absolutely—proper nutrition and cleaning that surface will definitely help remineralize the tooth. Justin: Interesting. Okay. Well, gosh. Thank you. I feel like we could talk for hours but I know you are a busy man. You’ve got things to do. Thank you so much. Stuart: Well, it’s been a privilege. Thank you so much. Stuart: Y’all were great and I appreciate it very much. Justin: Well, thank you, Doc, and we’ll be in touch soon and I’ll be continually talking about your office because I love it. Stuart: Oh, well thank you. Y’all take care. Justin: Thanks, you too. So we finally got Dr. Nunnally on the show, didn’t we? It’s been long enough, hasn’t it? Kate: I think it’s great because we talk about him all the time, since the beginning and it’s good to actually expose people to who he is and what he sounds like. He is the kindest man. Justin: Oh gosh. Isn’t he amazing? Justin: He actually wrote an article about… We should put a link to that article on this show page, and also Kate, did you put a thing down in the notes for the video with Mike Adams? Justin: Okay, cool. Yeah, I wrote an article about my experience with Dr. Nunnally and he’s got a great video on that page that I put onto that article page, so I’ll link to that from here. But we went there in June of 2010, I believe, wasn’t it? Kate: Yeah, I love Texas but whew, that was a wakeup call, wasn’t it? Justin: That was a different kind of heat. Justin: But it’s just an incredible facility and it’s interesting because like we said during the show, people probably thought we were nuts flying to another state to see a dentist. Kate: They don’t understand the importance of… I mean people just don’t understand. Justin: People just don’t get it. Justin: But here is the thing. In my opinion, it’s so worth it. It’s so, so worth it. Even if your dentist is in another country, I mean there is another great dentist that we interviewed in Ecuador. I forget what his name was. Justin: We’ll put a link to that show. Actually, all of these are in our dental section, so you can list to that. But if you could go get your teeth taken care of, get on a plane and get your teeth taken care of by someone who knows what they’re doing, like Dr. Nunnally, and get everything taken care of and then learn about diet and learn about what is causing this tooth decay and the sugar, the stress and all this stuff, and then if you can heal from that and then take care of your teeth, it might be once a year that you fly out to a dentist or something like that. Justin: I’ve heard some health people, like David Wolfe, he doesn’t even go to a dentist. He just takes complete responsibility for himself, you know? But it’s really not like you’re going to go see a dentist every three months, so the distance really makes a difference, you know? Kate: Well, and to be honest, like once you get the work done properly, it might cost a little bit of travel and money up front, but what you’re going to gain for the rest of your life if you’re able to keep that caliber of the work you just had done, it’s going to save you from going to the dentist twice a year or whatever and just probably prevent a lot of future problems that could cost hundreds and thousands of dollars, you know? Justin: I didn’t ask him this on the show, but in my opinion, if you have any kind of health condition—any kind of health issue—I think the first place to start is your mouth. Kate: Yeah, I was going to ask him that too. I had so many things. I just kind of clammed up on that. I was just taking notes and listening. I’m so interested in this whole thing, so I was just trying to soak it up. Justin: So this face that you were enthralled with his voice. Kate: I was. He has an amazing voice. He does. He has the best voice. Kate: I have a thing for voices. Justin: And you have a thing for southern voices. Kate: I do. Southern men. Sorry. At least you’re not threatened. Justin: I’m not. I love Dr. Nunnally. Justin: Yeah, it’s just worth it because if you have some of these health issues, the first place to start is your mouth and like I’ve heard him say in other interviews that the types of toxins they are getting out of people’s mouths are just incredible, like will kill animals. And I mean it’s botulism and all these kind of crazy things. And so you can’t have an immune system that’s constantly being bombarded by these toxins and be taking chlorella and drinking green juice and expecting miraculous results. I mean those things are going to help a lot and so will sweating and everything else, but you can’t have these toxins just pouring on your immune system all day, all night. Kate: Well, and I thought it was fascinating. Like he said—it really resonated with what he said—about being able to sweat better once he started releasing a bunch of… I don’t know if he said heavy metals or toxins, and he said people who don’t sweat… I’ve always heard that you are a little bit more toxic because you’re not sweating that stuff out, and man, I totally was just like him. I couldn’t sweat. Kate: Remember how I always said, “I just don’t sweat”? I could go run three miles and barely break a sweat. Kate: So having the sauna and doing these detox things for myself has just been… I love that he said that though. He said it was so important to get in the sauna. It was important to go take better charge and better care of what he was doing to try to eliminate those things, especially as a dental practitioner or a dentist, just being in that field. Gosh, you’ve got to be so careful. Kate: Can you believe that story? Kate: When we went there. Justin: Yep, during the… But it was interesting. Gosh, another thing I didn’t get to him was they recommended when we were there to not take vitamin C for 48 hours before the procedure. Kate: Oh, I don’t remember that. Justin: And I wanted to ask him because I was thinking at the time “Gosh, that’s so strange” because vitamin C is such a great chelator. I think it helps to—among many things—but I think it helps to raise levels of cysteine or something, which is a precursor for glutathione. And I thought, “Why wouldn’t you want to take that?” And then they gave it to me intravenously, but there is some distinction there that you shouldn’t take it before procedure. Justin: Yeah, like a surgery. Justin: I don’t think it has anything to do with the thinning of the blood, but it has some other issue. But yeah, he’s just great. Kate: Well, if you contact him, anybody out there, they will tell you exactly what you need to do before an appointment, I’m sure, and to make your arrangements and your time to be able to stay a few days, like we did. Justin: Yeah, we stayed for what, three days, I think? Kate: Yeah. My favorite memory of that trip is that you were so out of it after, you looked like you just came out of like a cloud after your acupressure and after your… And then when I drove you back to the hotel that night and there was a Laker playoff game, I believe, and we happened to catch it but you don’t really remember much of it. You were acting like you did at the time and the next day you were like, “What happened? Did we win?” You were so out of it. Kate: But yeah, Dr. Nunnally is an amazing man and I can’t wait to go back. Justin: Yeah. What we did is we had panoramic x-rays that they wanted us to get, so we went to a local x-ray place and had panoramic x-rays so that they could see what’s going on and they test your blood and they test the biocompatibility of different crowns and different substances they can use instead of mercury for fillings. Justin: Oh my gosh. It’s amazing. So if you are interested, I would highly recommend Healthy Smiles For Life, Dr. Stuart Nunnally—just a great man doing great stuff. We have no financial interest in anything he does, but just love what he’s doing. So check him out and save up, put it on a Care Credit, maybe? Kate: Yeah, that’s what we had done, actually. Kate: It was worth every penny. Justin: Yeah, you just pay it off. I mean it’s worth it. Justin: Completely worth it. All right. So it’s time to wrap everything up. Hopefully you got some good stuff out of that interview and hopefully you got some nuggets that you can take away with you and share with your friends possibly. 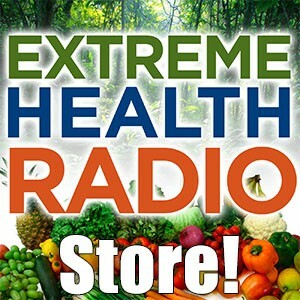 So if you would like to ever join us on these shows, they are now live on ExtremeHealthRadio.com/Live. If you want to make any comments about this show, this is Episode 180, so you just go to ExtremeHealthRadio.com/180 and you can enter your comments in the box below and I will respond to you, as well as other people. So you can kind of join the community that way. And what else? Anything else to wrap up here? Kate: I think we need to go swab some baking soda in my mouth because I ate a pear and I didn’t do what you did. I’m feeling guilty. Justin: Oh gosh. So hopefully you enjoyed the show, everybody, and we’ll catch you on the next episode. 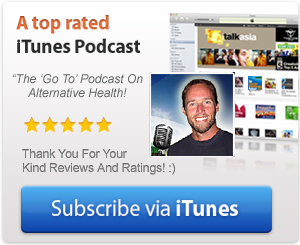 Previous Post Ep# 443 – Phil Wilson – The Benefits Of Sweating, Near vs FAR Infrared Light, EMF & Creative Ways To Detox Using Sauna Therapy Next Post Ep #615 – Morley Robbins Iron Toxicity, The Root Cause Protocol And How To STOP IT!